Dancio teachers are truly world class, each having the highest level of expertise and representing a distinct artistic style. Julie Kent was a principal dancer with the American Ballet Theatre from 1993 to June 2015. In 2016, she was named the artistic director of The Washington Ballet. Laura Halzack is a member of the Paul Taylor Dance Company. During her 12.5 year tenure in the Paul Taylor Dance Company Mr. Taylor created 16 works on Ms. Halzack, and gave her the opportunity to dance in 67 of his other works in over 79 different roles. In February 2018 Halzack was featured on the cover of Dance Magazine. 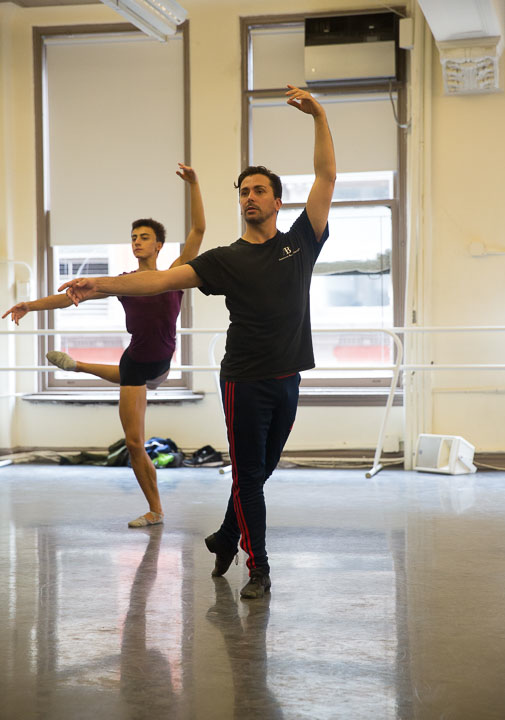 Formerly a soloist at New York City Ballet, Craig is currently NYCB balletmaster and assistant to world renowned New York City Ballet Resident-Choreographer Justin Peck. He’s also a guest teacher at Manhattan Movements Arts Center, coach, and has given master classes and seminars across the U.S.
Ms. King joined New York City Ballet as a member of the corps de ballet in June 2004 and was promoted to soloist in February 2013. In addition to dancing with the New York City Ballet, Lauren was also a founding member of Troy Schumacher’s Ballet Collective in 2010, and continues to perform with the Ballet Collective for their annual performances. Photo credits: Julie Kent video still by Nel Shelby, Craig Hall by himself, Carlos Lopez by Rosalie O'Connor, Laura Halzack by Jenny McCord and Lauren King by Kokyat.